Southern Lights of NC specializes in architectural / landscape lighting and outdoor audio. We are the leading full-service provider of outdoor landscape lighting and outdoor audio design and installation in Greensboro, North Carolina, and surrounding Piedmont Triad areas of Summerfield, Oak Ridge, Reidsville, Kernersville, Jamestown, High Point, Winston-Salem, Stokesdale, Colfax, Brown Summit, and throughout the state of NC. Specializing in design, installation and management for both residential and commercial properties, Southern Lights of NC is fully licensed, insured, and utilizes only the highest quality and environmentally friendly green products with many life time warranties. 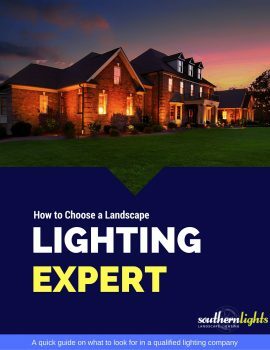 Meet with our Certified Outdoor Lighting Designer to gain an understanding and appreciation of what your property can become with the sun goes down. With years of experience, we can design a customized lighting system for your specific needs. Outdoor landscape lighting should be able to address all elements of design: architectural, underwater, landscape, deck, patio, specialty, and security landscape lighting. Landscape lighting should create: SAFETY. SECURITY. SERENITY. We utilize the latest technology in automation integration, LED upgrades, dimming capabilities, and wireless options. Our abilities as a company stretch further than our expertise in lighting, as our parent company (Southern Exposure) specializes in the design, installation and maintenance of beautiful custom landscapes and outdoor hardscapes (kitchens, bars, patios, walkways, stonework) allowing us to offer seamless integration into new and existing landscapes. What’s your style? What’s your budget? What kind of warranty do you get? 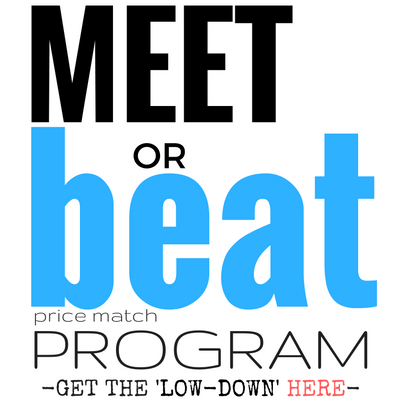 Research the competition & compare services, products, and experience. View their portfolio of work. Take 1st step here. Due diligence is important. Make sure quotes are comparable. Don’t get the “Bait & Switch” from your contractor. Review lighting designers warranty info. 2nd step here. Becoming a great lighting designer / company requires years of experience…we have over 23 years. 3rd step here. With Southern Lights of NC, you can rest easy knowing you’re getting the best products, experience, & price guaranteed! You guessed it, 4th step here. Southern Lights specializes in the design, installation and service of low voltage outdoor lighting for home or business. Our staff is backed by years of experience with outdoor and landscape lighting design and installation. We are ecstatic about the job Southern Lights did to our home. Professional, courteous, knowledgeable and friendly. We had a couple other estimates from other companies, prior to calling Southern Lights, they were more interested in selling their products than listening to our wants. Pete Bryant took the time to listen to our desires and explained what would be best for our home. Installation was awesome and timely. Pete came back to ensure we were satisfied with the finished product. The day after installation, we received compliments from neighbors. Needless to say, we have been recommending his company to them every since. We have some other projects that we plan too do outside, Southern Lights will be the only company we call. If you want/need landscaping lights around your home, please give these guys a call. Trust me, you want be disappointed. Thanks Southern Lights. My experience with Southern Lights was by far the best I’ve ever had with a company doing work for me. Once I contacted them that I was interested in some landscape lighting Pete was really prompt on getting back to me. He showed up to my house and was very professional and really took his time explaining what I needed to make my house look great. Once I decided on a package Southern Lights was very quick in working my house in. Installation went really smooth and Pete came back that night and worked extremely late on making sure all the lighting made the house look beautiful! Company came highly recommended and lived up to every aspect of that claim. Facts from the industry, so that you can stop wasting your time on outdated strategies that do not work. Don’t let your landscape disappear in the evening. Reclaim your space with thoughtful landscape lighting. A beautifully lit space starts out with a plan.